How do you improve upon Diamond Series, the most popular hotel phone in the world? 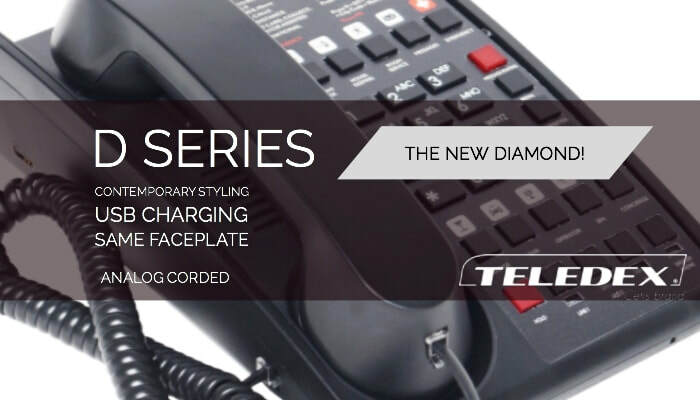 We began the development of D Series with a fresh new contemporary design, robust ergonomic open handset, and guest smart device USB charging ports, but maintained the same Diamond faceplate area...so Diamond Series owners may easily upgrade with existing faceplates. Click here for product details, or here to view the video.